Visual art commission as part of a collaborative multi-discipline project and exhibition of work made in response to time spent in the areas of Niddrie and Craigmillar. 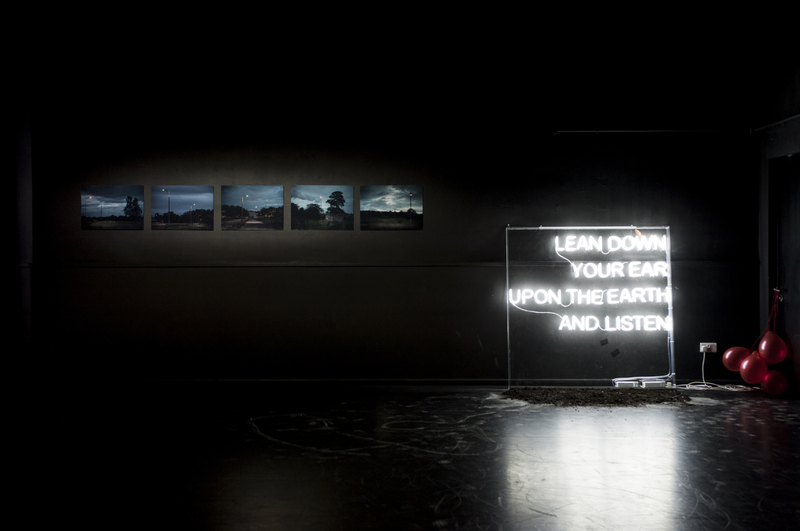 The piece consisted of a large neon sign which invites the audience to listen to recorded local stories broadcast from the earth below. The project was devised and created by the young people of Craigmillar and Niddrie in collaboration with Lou Brodie, funded by The Heritage Lottery and partnered by Historic Scotland, Lyra Theatre and Imaginate. [image and featured photographs above by Kat Gollock].